Spotify Launched in India, Plans Start at Rs 13: How Does It Compare with Airtel Wynk and Jio Saavn? The wait is finally over! Spotify, the world’s most popular music streaming service, has launched in India. 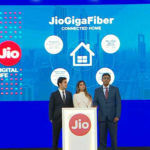 It took the company years to bring its service to the Indian market and one year after its announcement regarding its plans to enter the country. Better late than never, right? Well, Spotify went live in India on 27 February, but some of us were able to get access to the service one day early. 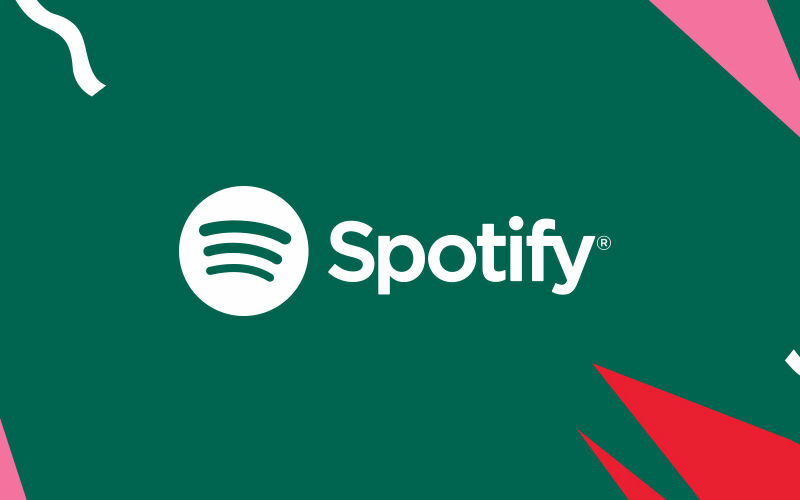 The Spotify app is now live on almost all platforms including Android, Android TV, iOS, Linux, macOS, Windows, and tvOS for Indian consumers. To our surprise, Spotify’s ad-free plans start for as low as Rs 13 in India. Surely, it looks like Spotify has worked on its plan really well for the Indian market. But how is its service and which plan should you subscribe to? Let us find out. For those who want a premium music listening experience (at 320Kbps), Spotify is offering a monthly premium plan for just Rs 119 and an annual plan for Rs 1,189. MasterCard and VISA credit cards, as well as debit cards, can be used to pay for premium subscription plans. 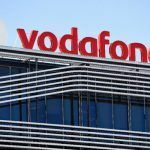 The company charges slightly higher—Rs 129—when the payment is made through eWallets like PayTM, UPI, and others. However, there are daily and weekly plans available as well, starting at Rs 13 per day. Students can access Spotify’s massive library of over 40 million music tracks for just Rs 59 per month. Those who don’t want to pay for listening to music, Spotify offers ad-supported free service where users can listen to all of the company’s music library on their computers, smartphones, and tablets, but at a lower quality (96Kbps). Also, free-tier users can’t download music for offline playback. Anheuser-Busch InBev, GoUSA, and OnePlus are the company’s exclusive ad partners in India. Spotify competes with a bunch of music streaming services in India, including Airtel Wynk (owned by Bharti Airtel), Apple Music, Gaana (backed by Times Internet and Tencent), Google Play Music, Jio Saavn (owned by Reliance Jio), and Prime Music (owned by Amazon). Spotify is available across 79 countries across the world with 207 million active monthly users. 96 million of its subscribers pay for premium plans, making it the most popular music streaming service in the world. The company claims that its library includes more than 40 crore (4 million) songs and more than 30,000 tracks are added each day to Spotify’s music library. There are over 300 crore playlists. Music is available in multiple languages, including Bengali, English, Hindi, Kannada, Malayalam, Punjabi, Tamil, and Telugu. Apart from a full-fledged web player, Spotify has native apps for Android, Android TV, ChromeOS, Fire TV, iOS, Linux, macOS, PlayStation, tvOS, watchOS, Wear OS, Windows, and Xbox. 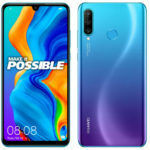 It is also compatible with Android Auto, AirPlay, Amazon Echo, CarPlay, Google Cast, Google Home, and hundreds of Spotify Connect compatible devices. All of Spotify’s apps look really well-thought and attractive, and music quality is a bit better than the likes of Wynk, Gaana, and JioSaavn. In comparison, Apple Music monthly premium plan is priced at Rs 120 and the family plan is priced at Rs 190. Apple doesn’t offer free music streaming service, but it is available on Android, iOS, macOS, tvOS, watchOS, and Windows. It is also compatible with AirPlay, Android Auto and CarPlay. 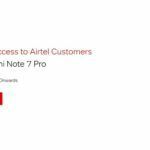 Airtel’s Wynk music streaming service offers free premium music streaming service to select Airtel postpaid and prepaid subscribers. The Wynk Plus plan, which allows saving music offline and listening to 320Kbps quality tracks, is priced at Rs 99 (Rs 29 for Airtel users). Users can listen to ad-supported music for free, but at lower quality and no option to download music to play offline. Airtel Wynk is available on Android, iOS, and the web. For those who want to stream music on other platforms, Wynk isn’t a good choice. Moreover, its UI looks dated, too. Gaana offers free, ad-supported music streaming for everyone (at lower quality). The free plan lacks higher quality music and an ability to save songs for offline usage. For the premium plan, Gaana Plus is priced at Rs 99 per month, Rs 199 for three months, Rs 249 for six months, and Rs 499 for one year. The Rs 499 plan also includes access to Sony LIV video streaming service. Gaana’s apps are available on Android, iOS, web, and Windows 10. Gaana is also compatible with AirPlay, Android Auto, Apple CarPlay, Chromecast (or Google Cast), Google Home, and Amazon Echo. Google Play Music is free for 30 days, after which it costs Rs 99 per month for the premium plan and lets users save music offline. Google lets users listen to shuffled music playlists and radios for free, though, but at a lower quality. Its apps are available on Android, Android TV, Google Home, tvOS, Wear OS, and the web. It is also compatible with AirPlay, Chromecast, CarPlay and Android Auto. The premium plan lets users upload their offline music tracks and files to the cloud and stream them for free everywhere. The company claims that its library includes more than 40 million songs. However, Google Play Music’s curation and playlist appear stagnant. 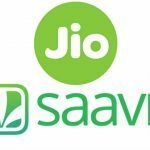 JioSaavn is a merged entity of Reliance Jio and Saavn and has a huge library of music. It offers free, ad-supported music streaming to everyone. Features like higher quality 320Kbps music streaming, offline download, and music syncing are available for premium users on Android and iOS. Its apps are also available on watchOS and Windows 10. However, its UI is not as polished as Spotify’s and I personally found its apps a little buggy. It is compatible with Alexa, AirPlay, Google Cast, Google Home, and Sonos. Prime Music is offered as a part of Rs 999 yearly Amazon Prime subscription, which also includes faster product deliveries from Amazon and Prime Video subscription. While its collection of music isn’t as large as Apple Music, Gaana, JioSaavn, or Spotify, and its apps have older looking UI, it turns out as a value-for-money service as it is being offered with the Amazon Prime subscription. Its apps are available for Android, Fire TV, iOS, and it is also available on the web. It is compatible with AirPlay, Android Auto, CarPlay, Echo devices, and Google Cast (Android app only). 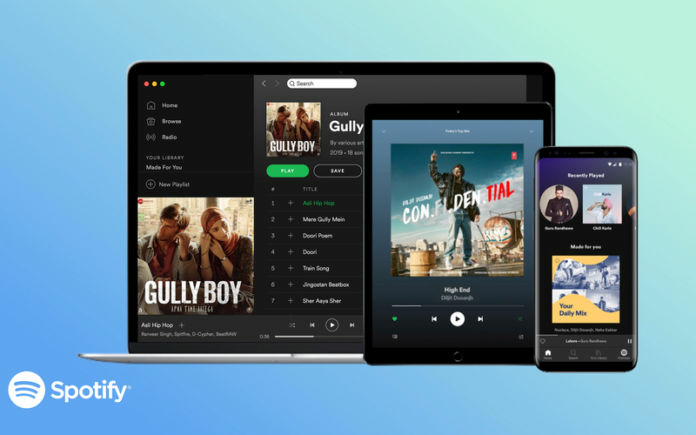 Spotify vs. Airtel Wynk vs. Apple Music vs. Gaana vs. Google Play Music vs. Jio Saavn vs. Prime Music: Which Is Better For You? Overall, if you an ardent music listener like me who wants their music on as many platforms as possible, Apple Music or Spotify would be great choices for you. They have an excellent music collection, a 320Kbps music streaming option, offline music saving, excellent playlists and collections, and apps on many platforms. They cost a little higher than their competitors, but you get your money’s worth. 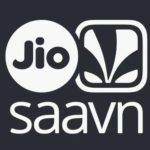 Gaana and JioSaavn is the next best option, with apps on various platforms, if not as many as Apple Music or Spotify, and a great collection of music, a huge number of curated playlists, compatibility with smart speakers, and excellent pricing. If you’re searching even slightly cheaper option and can live with music streaming on just your smartphone, tablet, web and smart speakers, Prime Music, would be a good option. For Airtel users, Wynk is a good option, but only if they plan to stream music on just their smartphone or the web.